Jydepejsen A/S is a Danish family business, founded by Finn Nielsen in 1979. From the first day, we have focussed on quality, design and development of air control systems. Today, Jydepejsen is still family-owned, and Finn’s son is in charge of the daily operation of the business, based in Holstebro. The craft has been passed on to the next generation. Ambitions are still the same – to manufacture the most durable and beautiful high-quality wood-burning stoves on the market. 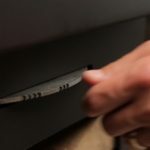 With Jydepejsen’s unique air control system DuplicAir® you can control the flaming and heat emission of your wood-burning stove in a simple and accurate manner. You can control both the lighting air (primary air) and combustion air (secondary air) with a simple operating handle. DuplicAir® is a simple and very durable control system, manufactured in high quality to last for the entire lifetime of the stove. We have complete confidence in the quality of our wood-burning stoves and offer a 5 year guarantee on our products. 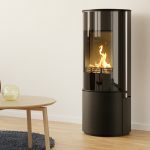 So when you buy a wood-burning stove from Jydepejsen, you do not only get a 2 year guarantee and warranty as required by the Danish Sales Act, but 5 years of ensuring guarantee. In 1986 Jydepejsen and Tulikivi together were the first companies in the world to clad a wood burning stove with soapstone. This close cooperation between two quality product manufacturers is now stronger than ever. 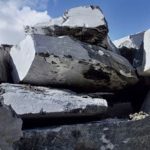 Tulikivi Group has over 35 years of experience of quarrying and processing high quality soapstone and has for more than three decades been the leading supplier of lining stones. The deposit situated in Eastern Finland is one of the largest known. All lining stone products are “Made in Finland”. Tulikivi systematically develops its processes and production methods to fulfil the needs of the user. The soapstone from Tulikivi mainly constists of mineralogical components of talc and magnesite which leads to several advantages; High concentration of talc makes Tulikivi soapstone easy to process and enables to produce nice stone elements. High concentration of magnesite yields good mechanical strength for Tulikivi soapstone. Thermal features are “phenomenal”. High specific weight – higher than marble, sandstone, granite ande limestone – together with specific heat capacity as well as thermal conductivity enables Tulikivi soapstone to store heat and keep it for longer time. The heat is afterward realeased slowly and supplied to the room in form of pleasant radiant warmth.